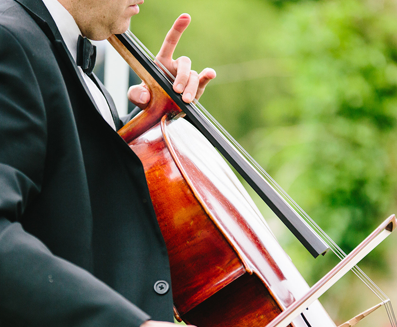 From Canon to Coldplay, Mozart to "Marry Me"
Give your next event a memorable soundtrack with music from Chicagoland's top ensemble group, Belle Music. Add jazz, classical, pop, rock, and new age melodies to your wedding, birthday, anniversary, or corporate event. Belle Music has performed wedding services from many backgrounds, cultures, and religions. We are familiar with the structure of these services, including the timing and styles of music needed. Standard dress is tuxes for men and dressy black for women. Our music ranges from The Beatles to Bach to Bruno Mars. In classical, jazz, pop, rock, new age and eclectic styles. Sample our latest recordings and start crafting your perfect playlist. Have a favorite not listed here? We're open to requests. Make a note when you contact us. To get a quote for music services, fill out our contact form by clicking the button below. We will contact you with pricing options that fit your needs. Thank you for your interest in Belle Music. You should receive a follow-up message soon. Website by Content Defined. ⓒ 2018, Belle Music. All Rights Reserved.